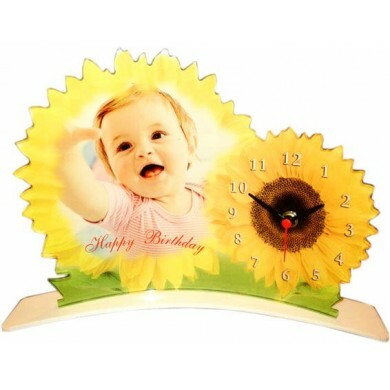 The acrylic photo clock can be personalized to include your message and photo. Overall design is sunflower themed. Your photo and message will be printed in the middle portion of the sunflower. The right hand part contains a clock. A nice product for decoration at home or for gifting.